Google uses a lot of energy moving and storing vast amounts of data for millions of people worldwide. So we were duly impressed when they recently unveiled the world’s first ocean cooled data center. Based in Finland, the chosen facility was actually once a paper mill, and the existing architecture of the abandoned building provided the perfect backdrop for the company’s new design. 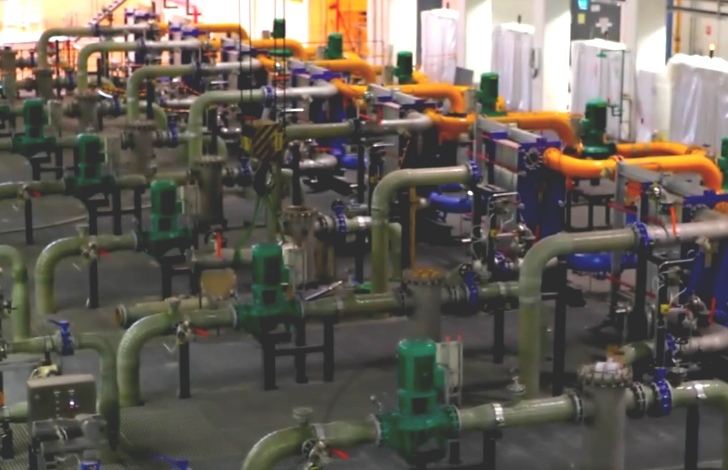 Utilizing a network of tunnels, already built prior to renovation, Google’s cooling system draws in water from the Baltic Sea to feed heat exchangers able to cool their servers. The company is proving to be true risk takers when it comes to environmental design, and in this case its paying off for them big in lowered energy bills. Not too long ago the energy consumption of servers was an afterthought, where machines were stuffed into office buildings and warehouses using up tons of energy to keep cool with little regard. Eventually, the industry came up with the Power Usage Effectiveness (PUE) metric, a simple formula to measure the total facility power over server energy consumption (Ex: a typical server farm would use as much power cooling as it would need computing providing a PUE ratio of 2). Google’s new server center, a reclaimed 50’s era pulp mill located adjacent to the Baltic Sea, pumps in water through tunnels that sit below the building. The water goes into heat exchangers that are connected to a second cooling loop, which then draw heat from the servers. The heated sea water collected and sent to another building that reduces the temperature by mixing it with cooler sea water before returning to the ocean. The mixing ensures that no heat spike or environmental disruption occurs at the point of discharge. This system completely eliminates the need for any compressor cooling equipment, and moves that PUE number close to 1.1 — nearly half the energy requirement of a typical data center. Google uses a lot of energy moving and storing vast amounts of data for millions of people worldwide. So we were duly impressed when they recently unveiled the world’s first ocean cooled data center. Based in Finland, the chosen facility was actually once a paper mill, and the existing architecture of the abandoned building provided the perfect backdrop for the company's new design. 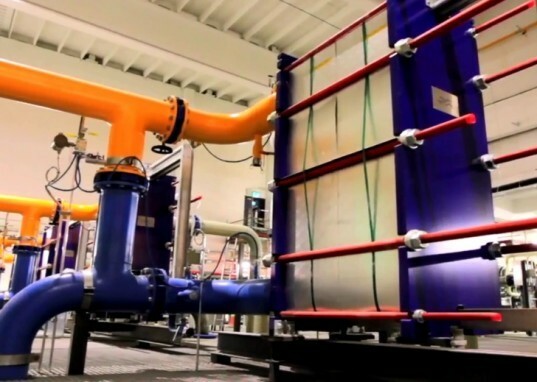 Utilizing a network of tunnels, already built prior to renovation, Google's cooling system draws in water from the Baltic Sea to feed heat exchangers able to cool their servers. The company is proving to be true risk takers when it comes to environmental design, and in this case its paying off for them big in lowered energy bills.